It seems rumors about Apple plans are never going to calm down. Once again the speculations surfaced recently suggest that Apple could be working on a cheaper iPhone. The device is expected to become available as early as the end of current year. As usual, unidentified “sources familiar with the matter” claim that Apple had been thinking of the cheaper smartphone in the past as well, but the idea of an iPhone with a cheaper build production has become progressive just now. The rumored iPhone may look like the standard iPhone in overall, but will come with a different, less-expensive body. “The cheaper phone could resemble the standard iPhone, with a different, less-expensive body, one of the people said. One possibility Apple has considered is lowering the cost of the device by using a different shell made of polycarbonate plastic; in contrast, the iPhone 5 currently has aluminum housing. Many other parts could remain the same or be recycled from older iPhone models.” – reports WSJ, claiming that a less expensive iPhone model could potentially have a cheaper polycarbonate body and recycled or refurbished iPhone parts in order to lower the entry cost. 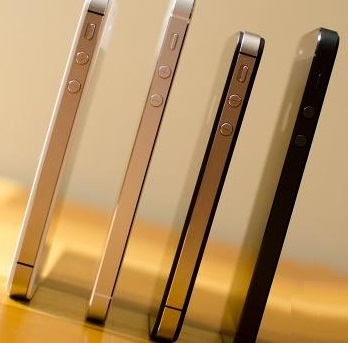 There’s a possibility that the cost of the next iPhone will be lowered by compromising the shell of the device – it’ll be made of polycarbonate plastic instead of the aluminum housing iPhone 5 features. As for the other parts, they may stay same or be recycled from older iPhone models. The fact that we’ve got a cheaper iPad variant in the form of the iPad Mini to gain more market share in tablets, it seems quite rational that Apple may decide to expand its power over smartphone market as well. What are your thoughts? Do not hesitate to voce up in the comments below.